Many times when I design a piece I have a story in mind. The design is then influenced by the story and the feelings I wish to convey. 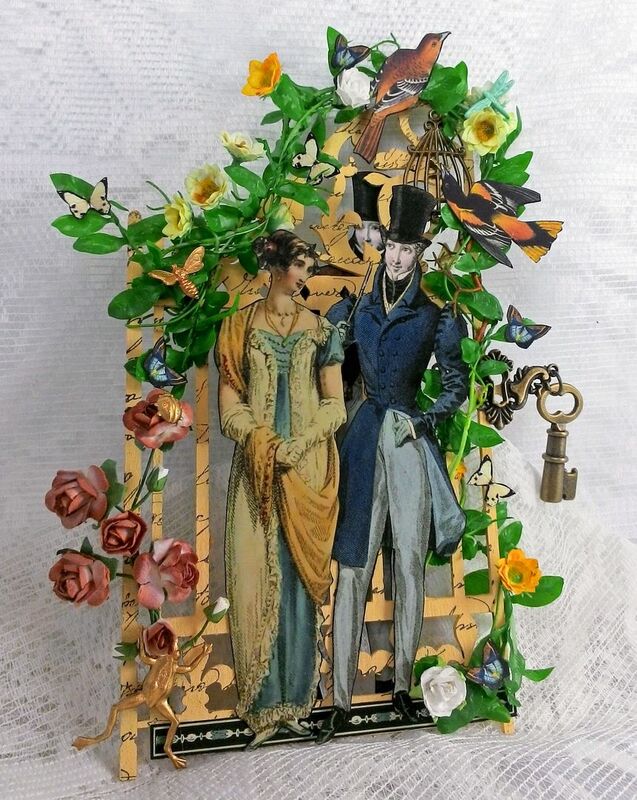 As soon as I saw the chipboard gate I thought what a great backdrop, and using the gate gave openness to the piece. I imagined two young lovers meeting in a garden unbeknownst to anyone. As I began work, I started thinking about what if they weren't alone, maybe they were being watched. 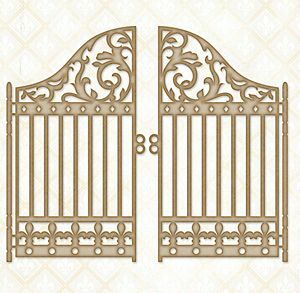 Did you notice the gentleman standing on the other side of the gate? Is he there by chance or perhaps a rival for the ladies affections, you decide. 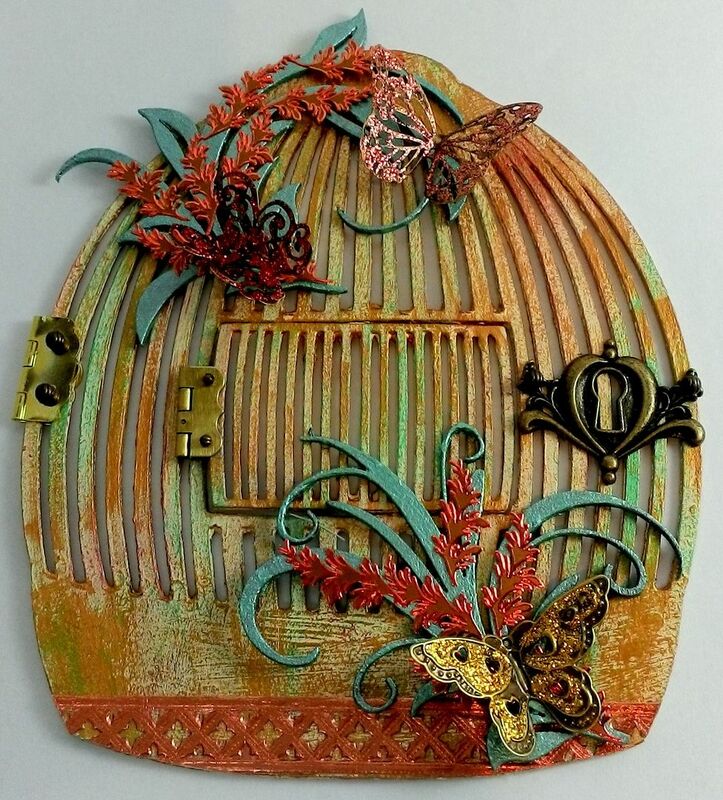 The base of the piece is one side of a Garden Gate Die-Cut Chipboard which is approximately 3 1/8” wide by 5 3/8 wide. I'll be using the other half in a future project. 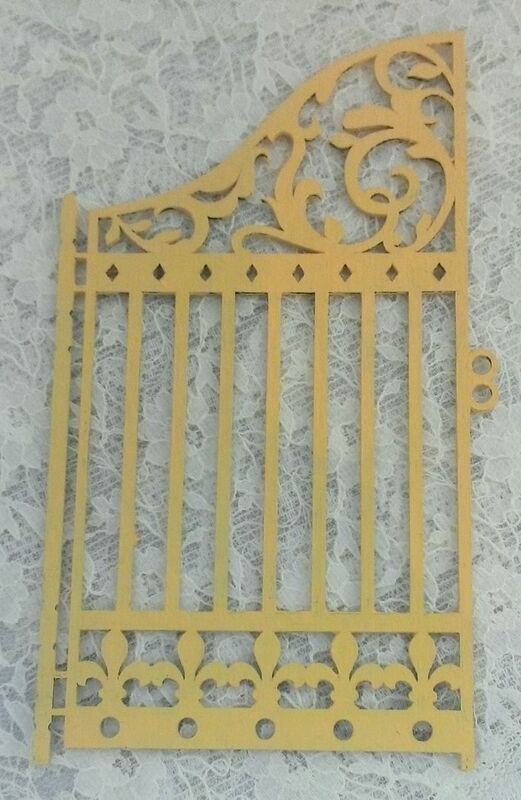 I started by painting the gate a pale yellow. 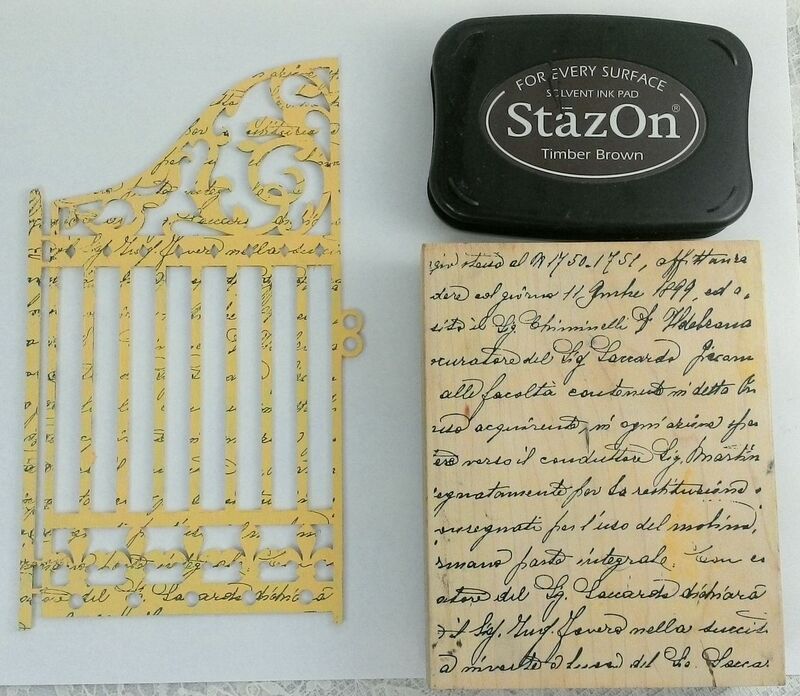 Next, I used a rubber stamp with writing and Timber Brown StazOn ink to stamp writing onto the gate. I attached the keyhole and key to the gate using E6000 glue. The Yellow Flower Garland is wired which made it easy to wrap around the gate and secure it with glue. To the garland I added paper birds, butterflies and brass bees. The brass frog and ladybug were from my stash. 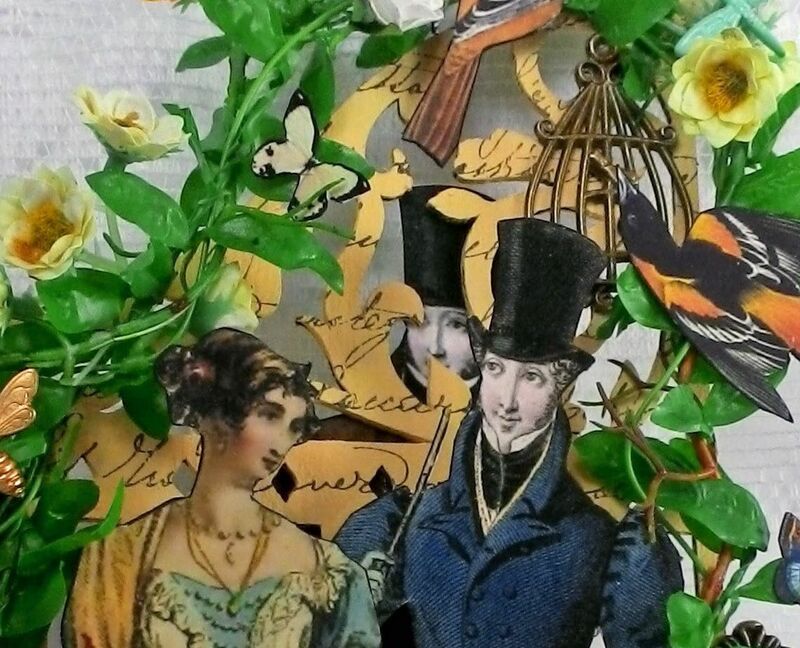 All of the images you see are from my collage sheets. Lastly, I added the couple to the front and the interloper to the back. I attached the keyhole and key to the gate using E6000 glue. The Yellow Flower Garland is wired which made it easy to wrap around the gate and secure it with glue. To the garland I added paper birds, butterflies and brass bees. The brass frog and ladybug plus the roses were from my stash. 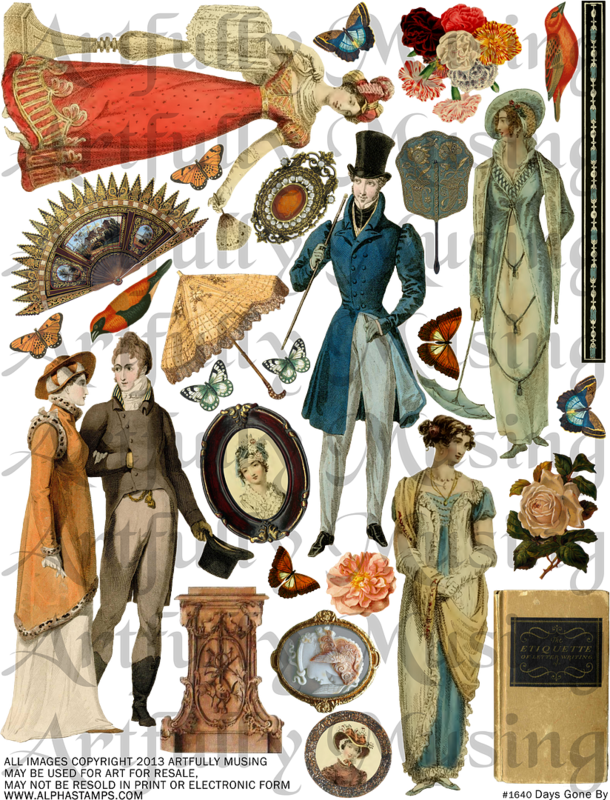 All of the images you see are from my collage sheets (see the complete supply list below. Lastly, I added the couple to the front and the interloper to the back. 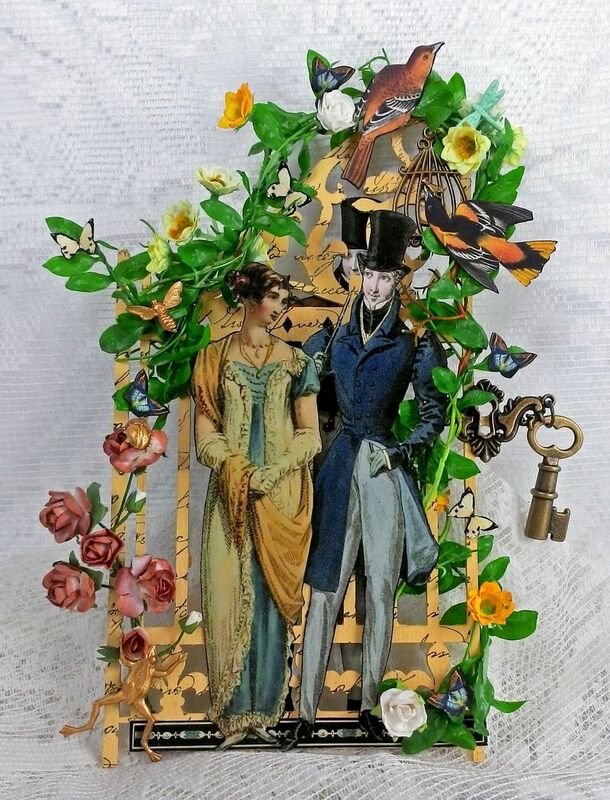 All of the paper images are back with decorative paper to make them look pretty from the back of the piece and to make them stiff. 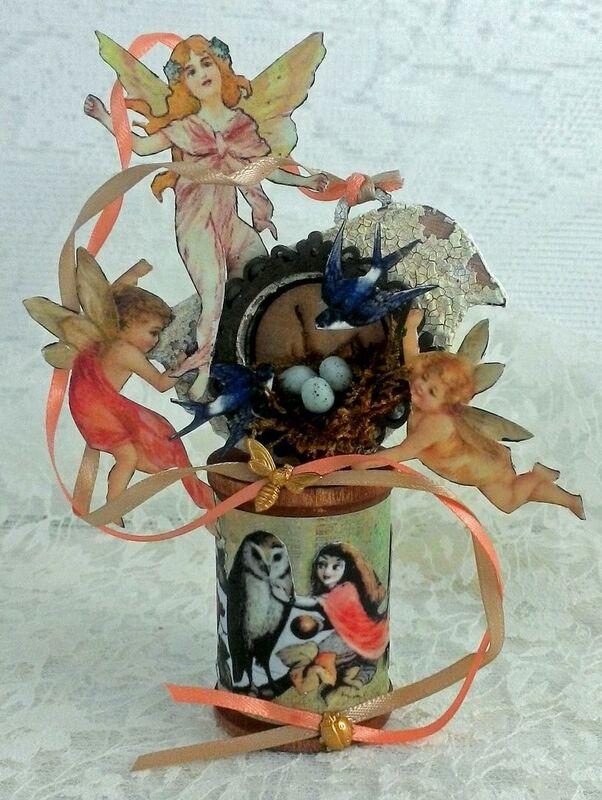 This piece celebrates the arrival of spring. I know for many of you it’s nothing but unending cold, ice and snow (wish you could send some to me). Here in the Arizona desert we are in a major drought. January and February are our rainiest months (we only get a little over 7” a year). Many people think most of the moisture comes in the summer when we get the monsoons. We have had no rain and none is in the forecast for the rest of February. We are also having record high temps with days like today being in the 80s. So it feels like spring here and many of the plants in my courtyard are in full bloom with the bees busily collecting nectar. 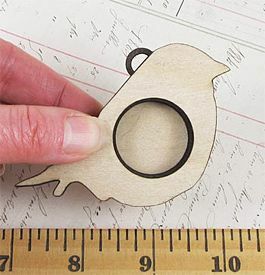 The piece is made from a Bird Shadowbox Shrine Kit and a 2” Wooden Spool. I used two layers of Picket Fence Distress Crackle paint on the bird and then picked off some of the pieces of crackle of to give it a more aged look. 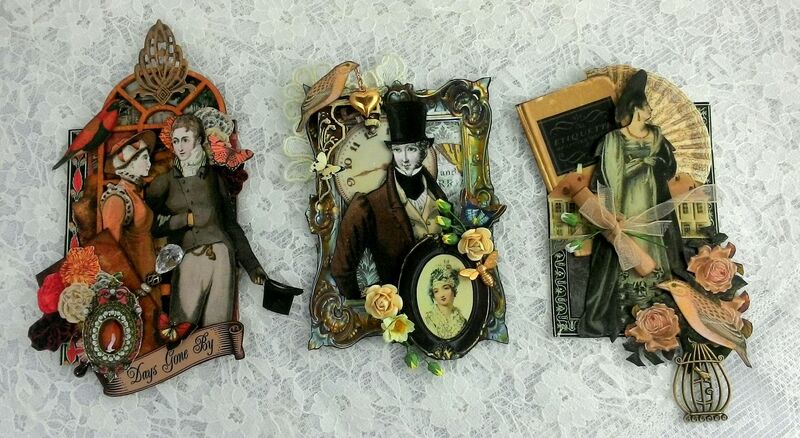 Below are ATCs showcasing more of the images from my new Day’s Gone By collage sheet and digital image set. 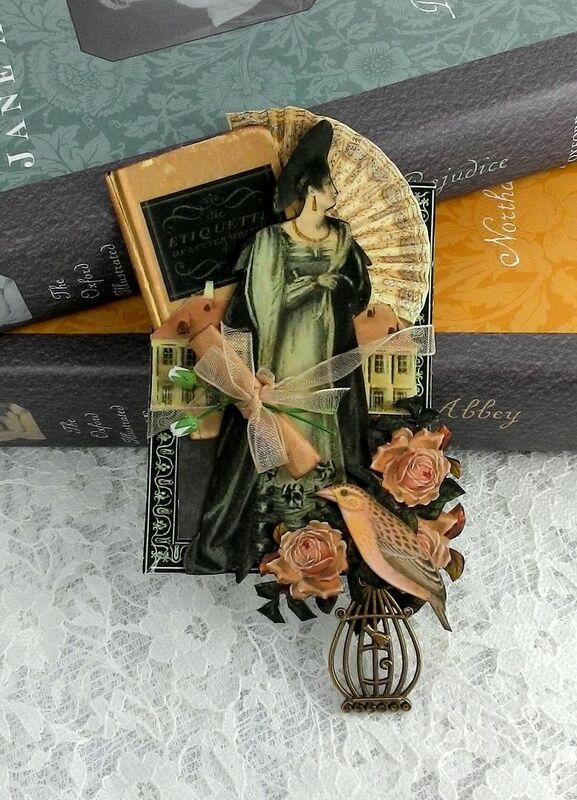 I love the vintage touch a hat or stick pin gives to a piece of art. It is so easy to make your own pin. 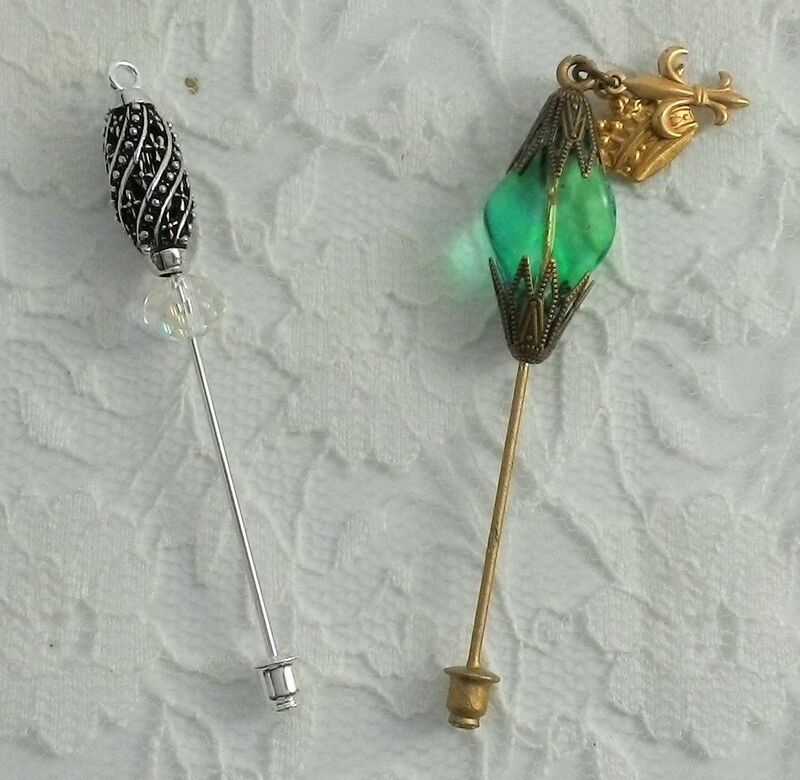 To make the hat pin in the Day’s Gone By I used a stick pin from my stash and added more beads to the end and one at the bottom to cover the point of the pin. 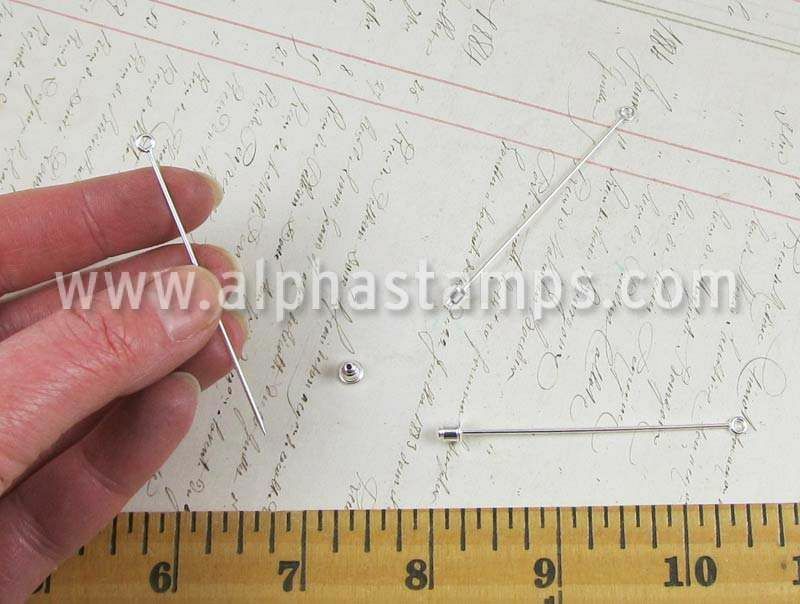 An even better option is to use the silver-plated brass stick pin picture below (carried by Alpha Stamps). 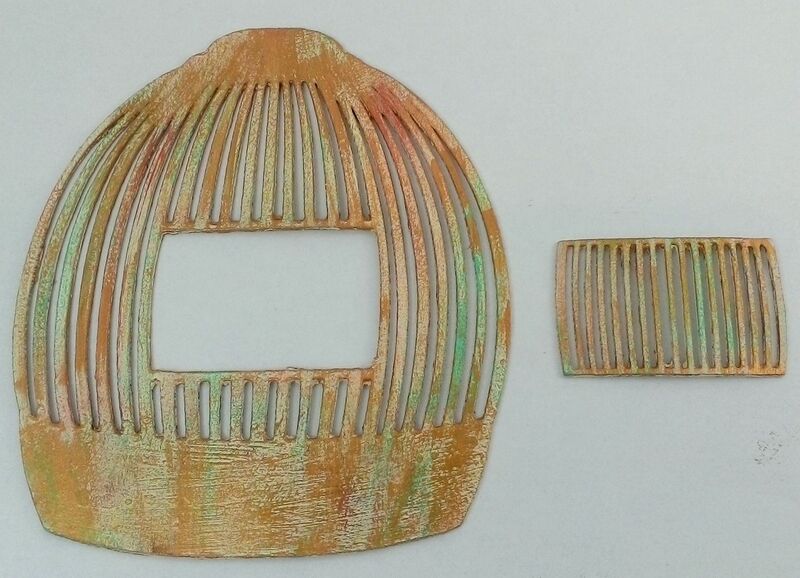 The pin is 2 ½ inches long so there is lots of room for beads and it already comes with cap to cover the end. Another great feature is the loop at the end where you can add more beads or a tassel. Pictured below are some examples. To keep the beads in place I applied a small amount of E6000 glue to the pin. 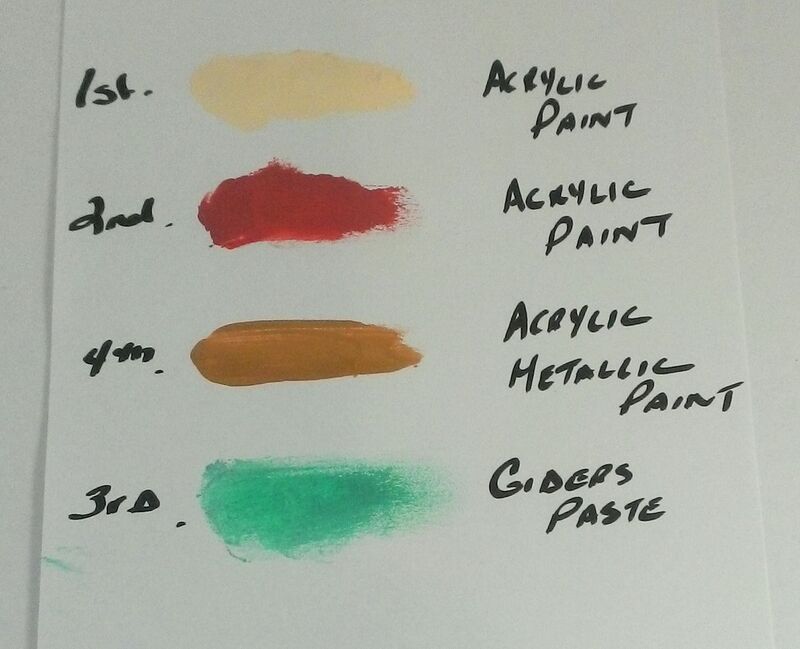 You can use Alcohol Ink to change the pin to any color you desire. 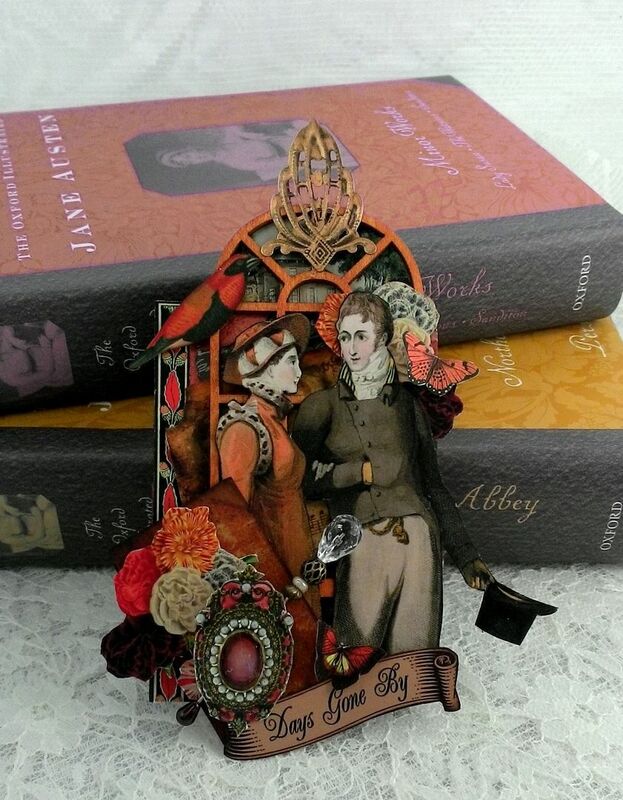 You can see in the picture above I used Gold Alcohol Ink on one of the pins. Random.org has spoken and the winner is Jen Beksel! Thanks to you all for the lovely comments about this piece. 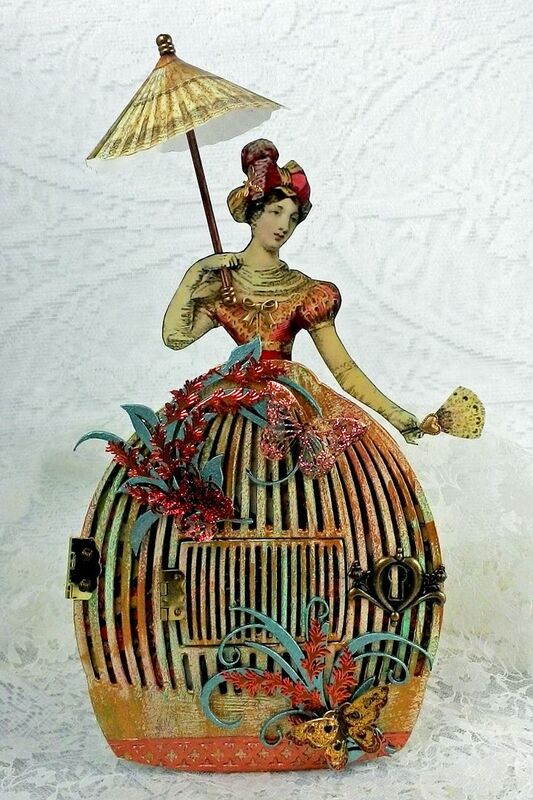 With Valentines just around the corner I have been in a romantic mood which is reflected in this birdcage dress. In this post I’ve included a tutorial outlining how I assembled and decorated the birdcage dress. 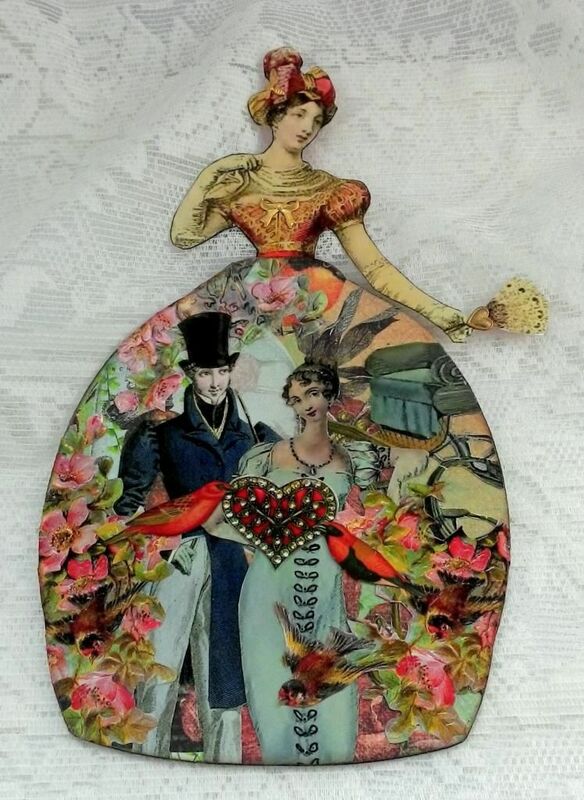 A fun aspect of this piece is that the middle section opens to reveal birds in love and then the entire birdcage opens to reveal the romantic couple inside. 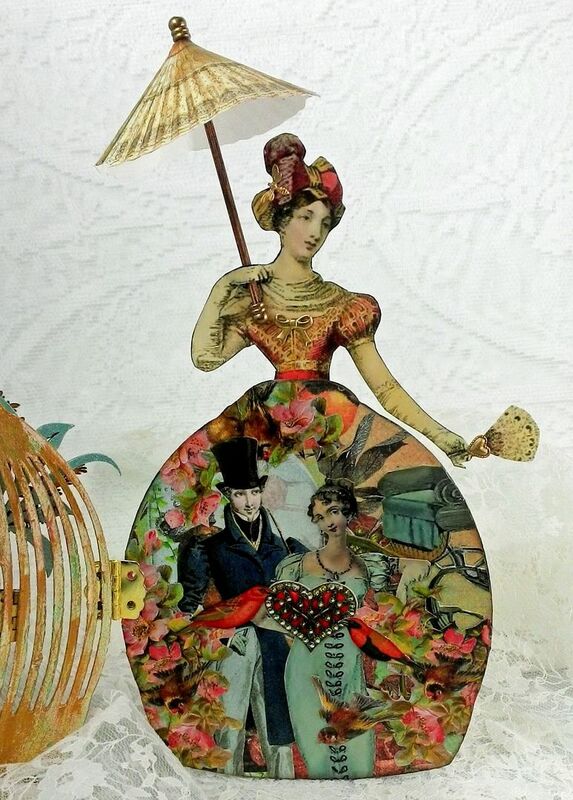 This lovely ladies umbrella is made from 2 paper fan images. 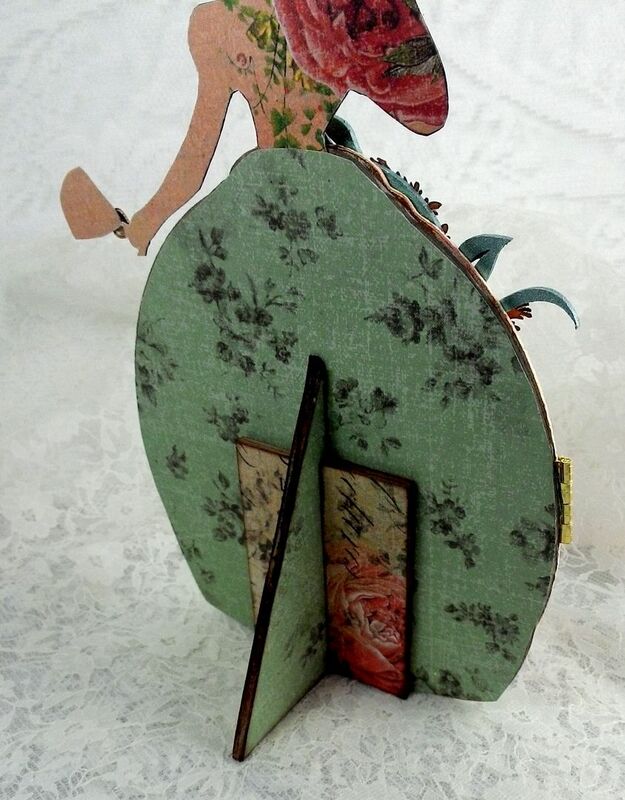 The piece stands up with the aid of a chipboard stand attached to the back. 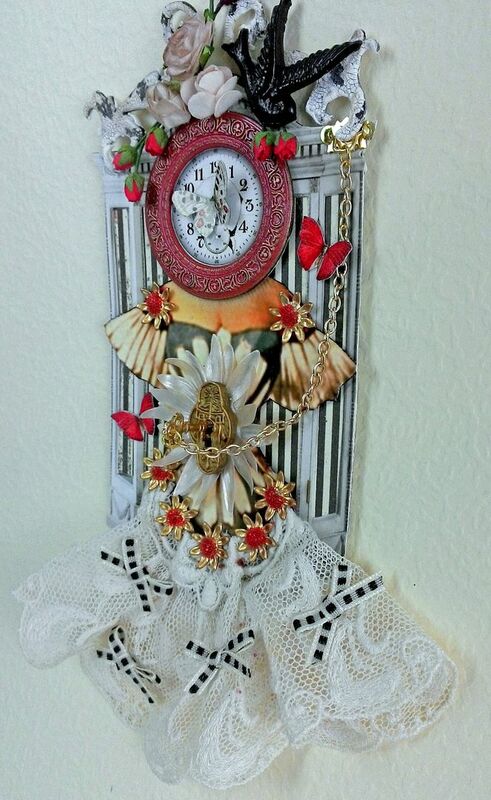 The images I used are from my new collagesheet and digital image set. I am so excited about my new collage sheet and digital image set. 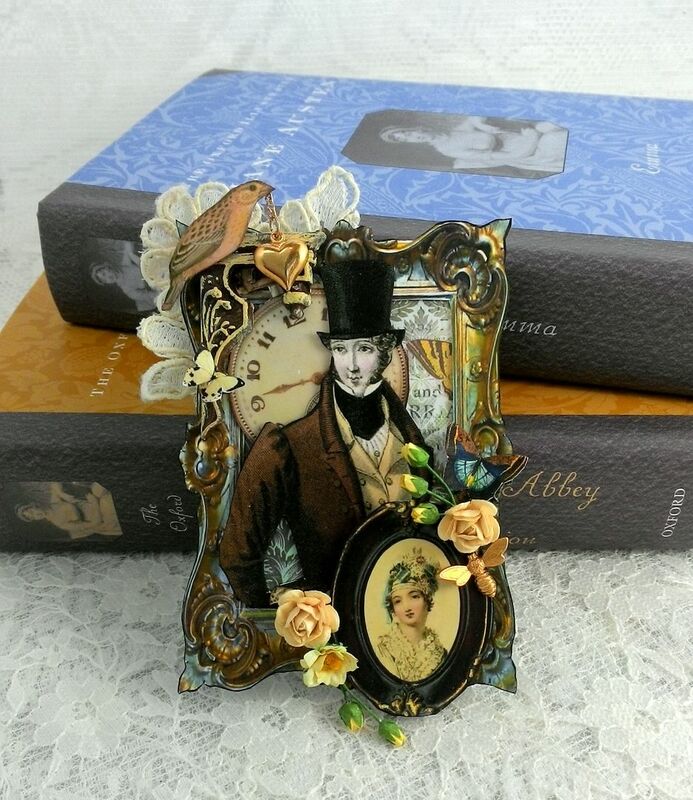 The regency period is my favorite and Jane Austen is probably one of my top 5 favorite authors of all time. 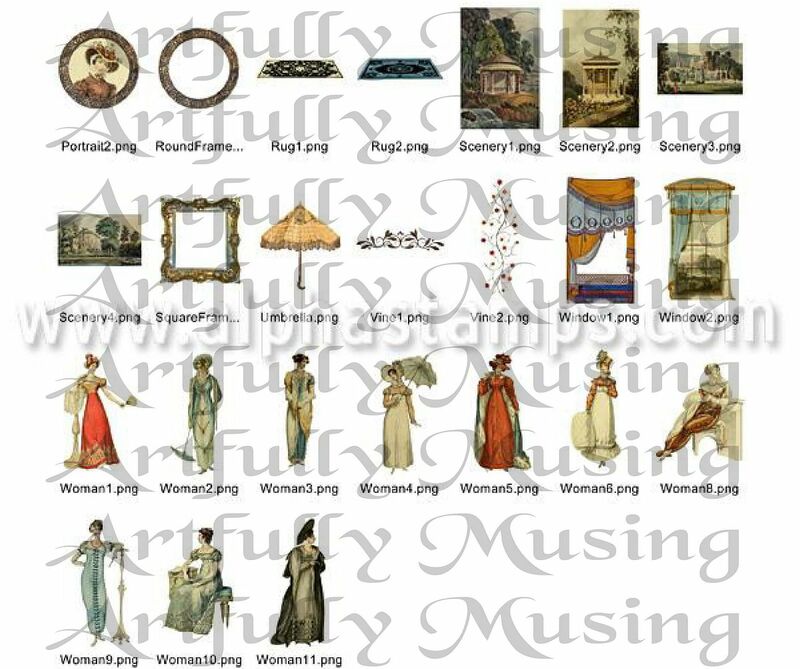 I’ve chosen some of my favorite images for the collage sheet pictured below. 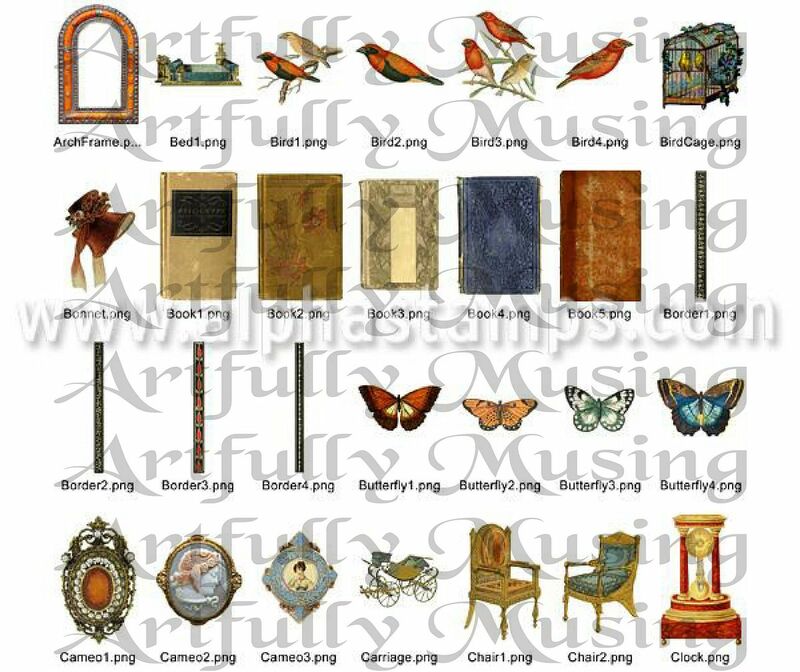 The digital image set includes all of the images in the collage sheet plus many more for a total of 80 images (pictured below). 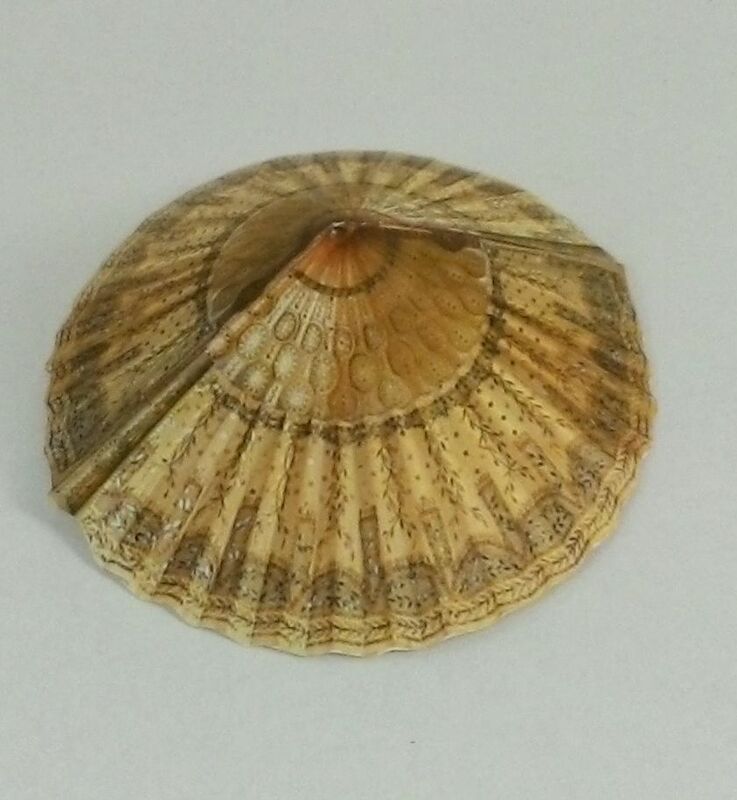 Along with more images, the digital image set gives you much more flexibility in printing just the images you want, and in resizing the images to your particular needs. 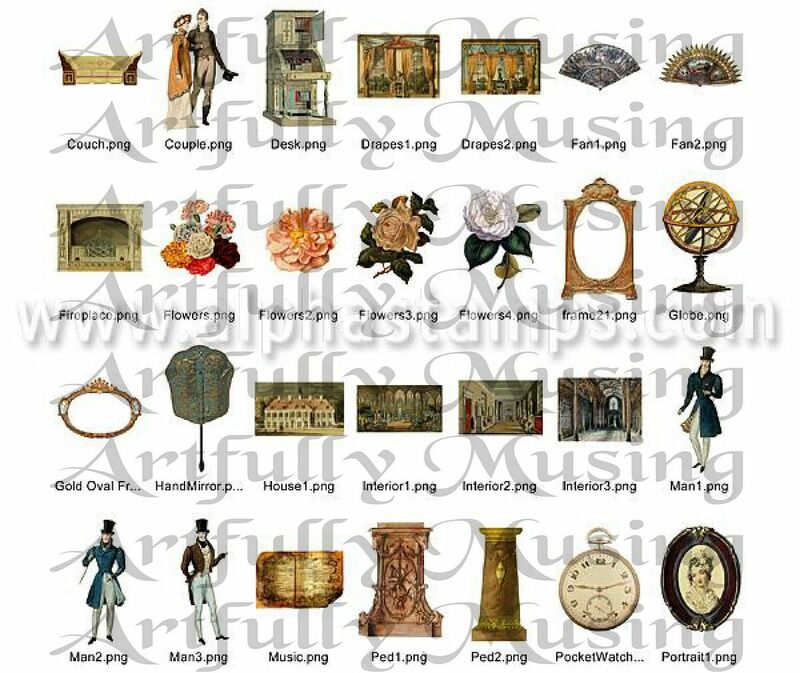 As always you can find my collage sheets and digital image sets at Alpha Stamps. 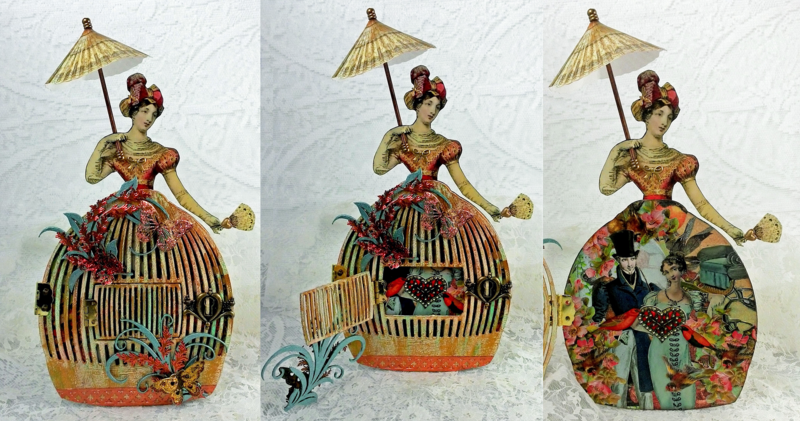 In honor of a new year of art, I’m giving away the birdcage dress! To enter the giveaway just comment on this post or send me an email using the “Email Me” button in the right hand column of the blog. Random.org will choose the winner February 13th. 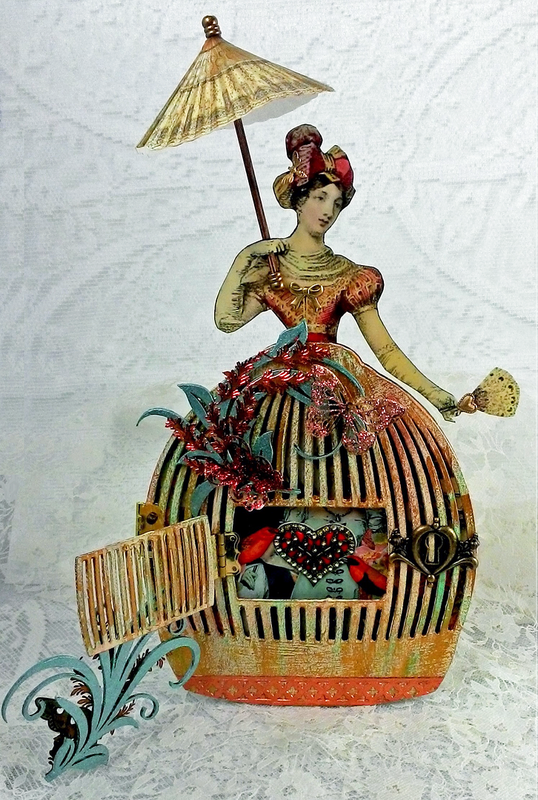 The skirt is made from a 2 Part Die-Cut Chipboard Birdcage which measures approximately 5 ½” wide x 6 ½” tall. First I painted the front pieces. I started by painting the surface with cream paint. Then I dry brushed the reddish orange paint onto the cage. Next, I added Patina Gilders paste and lastly I dry brushed on gold metallic paint. I added copper Dresden to the bottom. I glued one side of a larger hinge to the cage and one side of the smaller hinge to the removable door. Lastly, I glued the other side of the small hinge to the cage. I used E6000 glue. I used beads to cover the holes on the hinges. 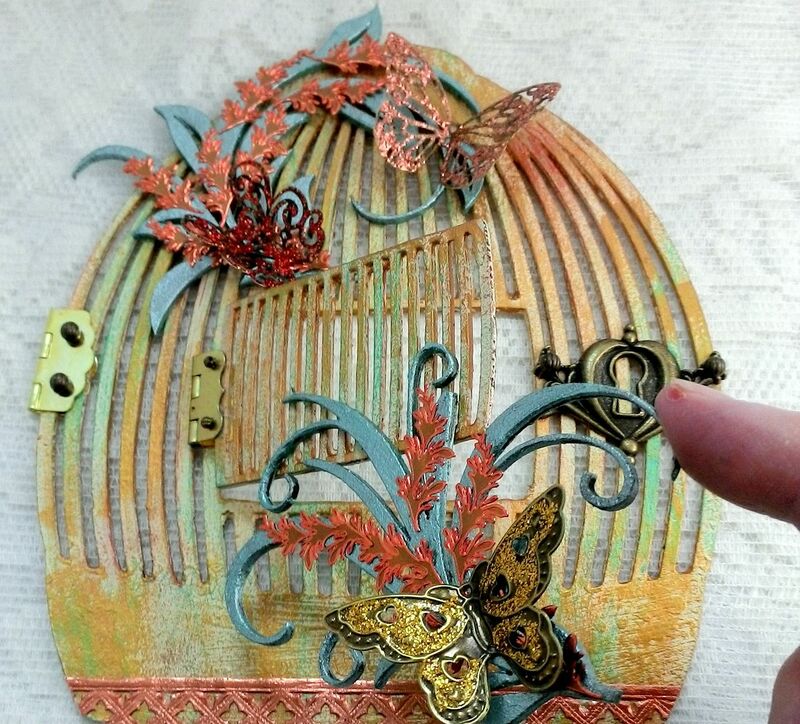 To decorate the cage I added chipboard leaf flourishes, metallic stickers (from my stash), a brass key hole, and brass butterflies accented with Stickles. 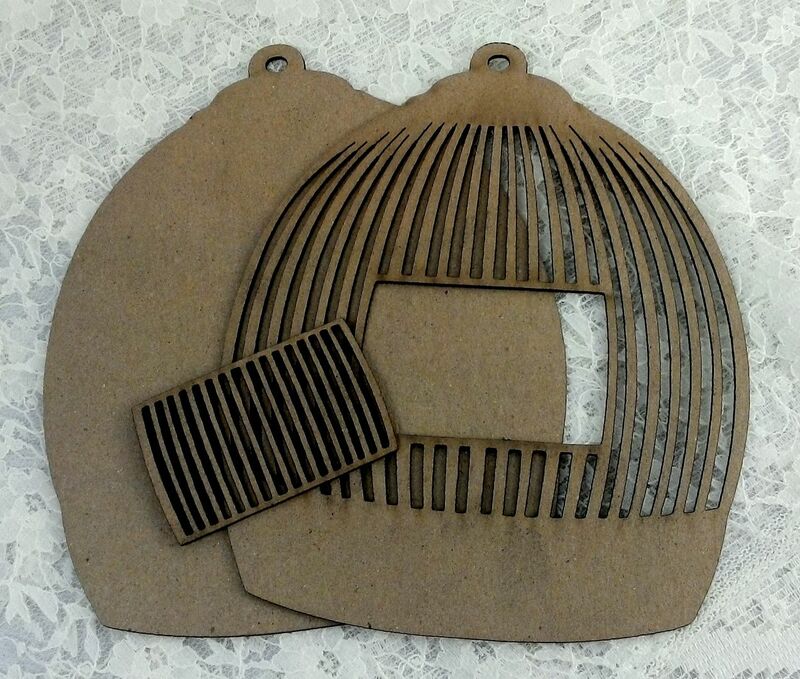 In order for the small door to open, I attached the leaf flourish to the door rather than to the cage. 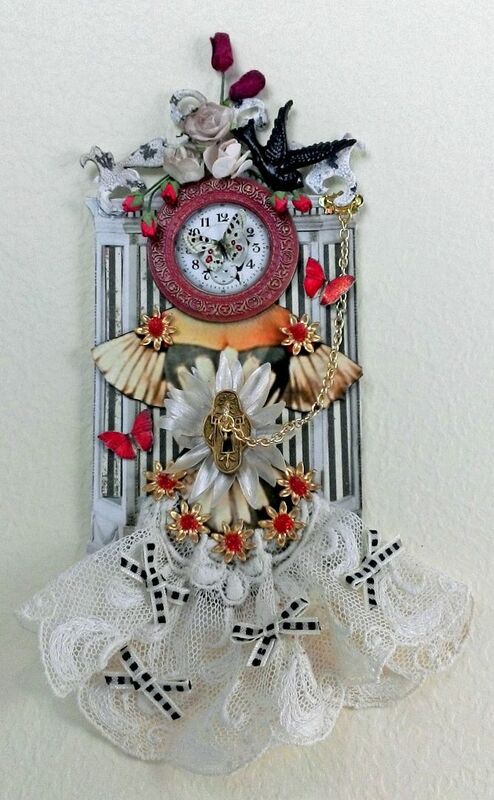 I used multiple layers of paper, Dresden Scraps, paper images from my collage sheets and digital image set. 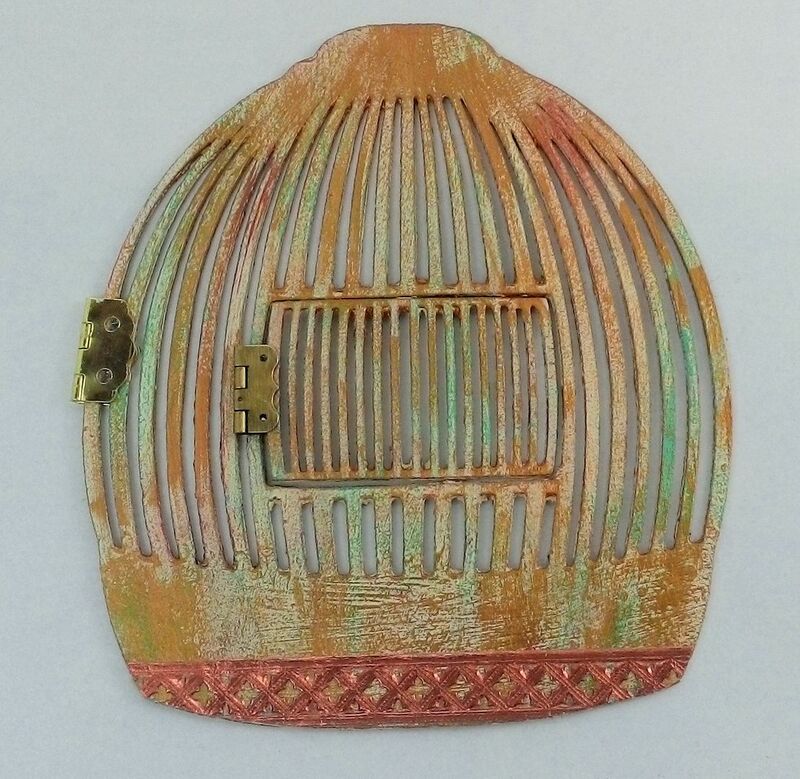 I used only paper images to decorate behind the cage which allowed the cage door to lay flat when closed. The last step was to glue the other side of the large hinge to the back piece pictured above. 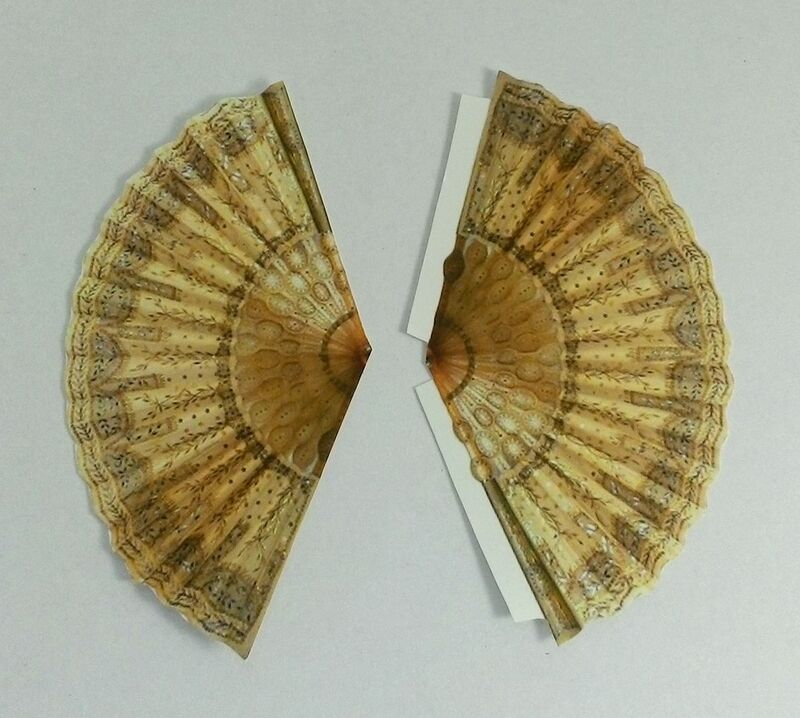 To make the umbrella I used two images of a fan. When cutting one of the fan images out, I left tabs on each edge of the image. I used these tabs to glue the one image to the other. Score and bend the tabs before gluing. 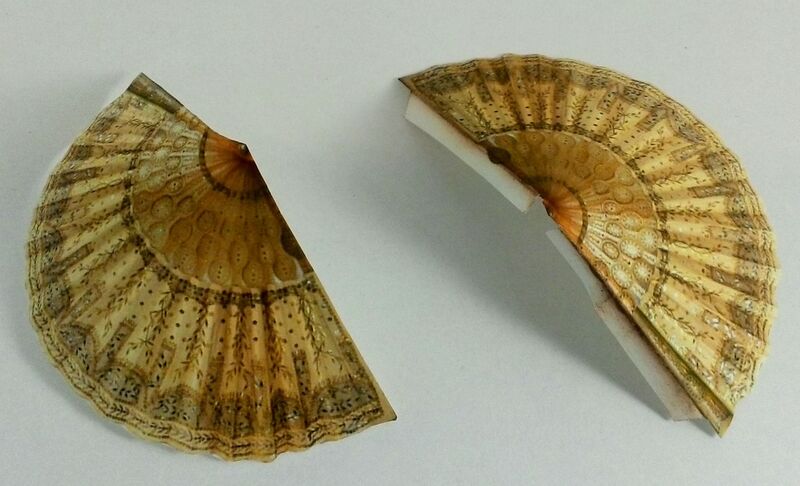 It also helps to pre-bend the umbrella images before gluing them together. Inking the edges of the images hides the white of the paper when the pieces are glued together. To make the stand I used heavy chipboard. Below you can see the measurements that I used. The idea is to create a triangle. Next, cut away part of one edge to create a slant, that when glued to the back of the piece, causes the piece to tilt slightly backwards. I cut two pieces of heavy chipboard and glued them together to give the stand more strength. If you want the piece to tilt more, cut away a larger piece of the triangle. 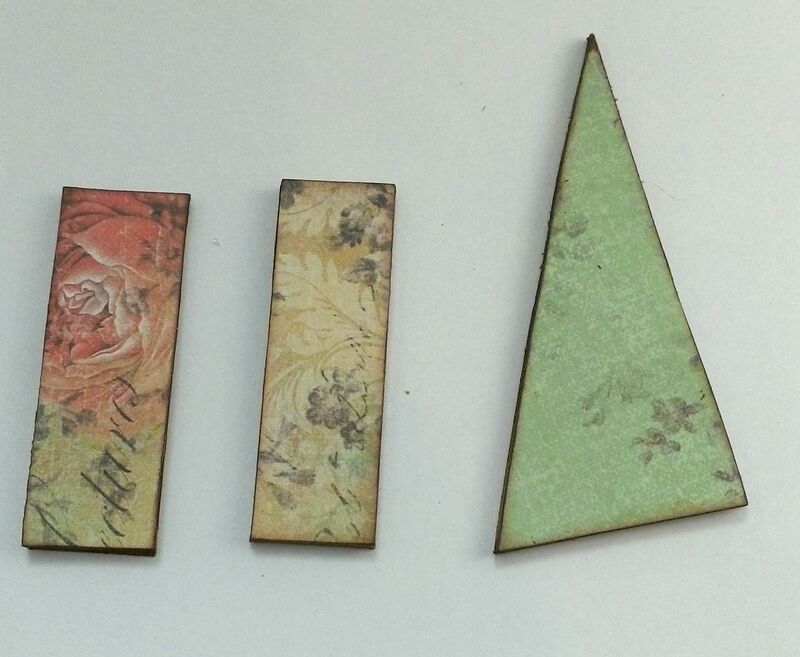 I cut two pieces of heavy chipboard to glue on each side of the triangle giving it more support. All of the pieces are covered with decorative paper and the edges inked. I glued the pieces in place using E6000. Be careful to keep track of the side where you made the cutaway so that you glue that edge to the piece. About 2 years ago I started working on a series of dress forms. I think I finished 6 of them and the last two have been sitting in a box waiting to be finished. This is one of the last two and I hope to finish the other this coming week. Since I started this so long ago I don’t have a supply list for you.